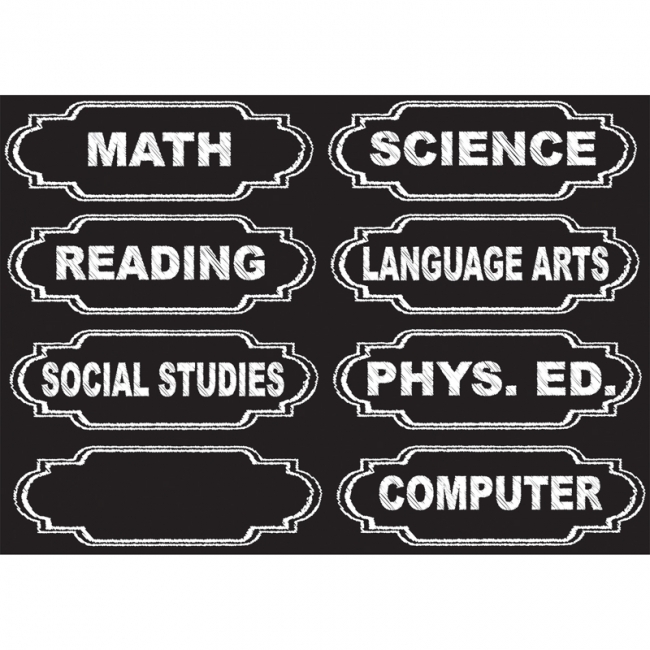 Organize your classroom or home with our magnetic chalkboard style column headers. 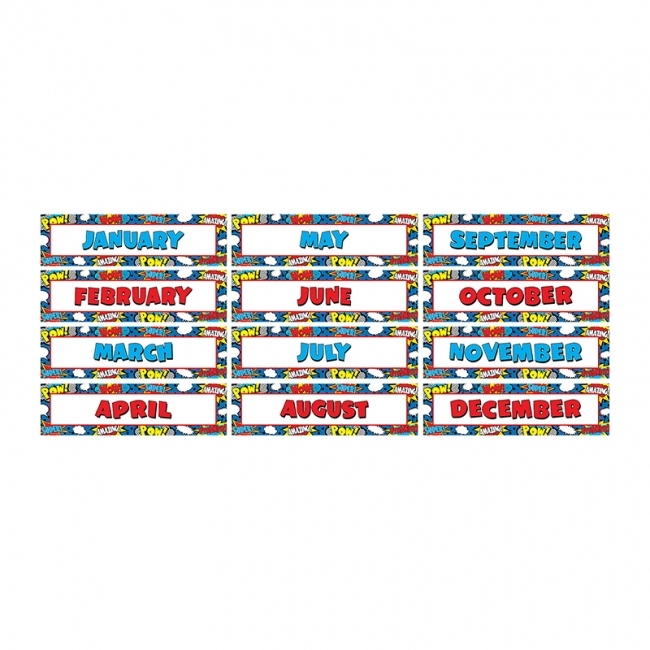 These pre-printed time savers feature Class Subjects for DIY headers on magnetic surfaces. 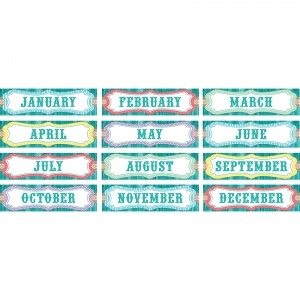 Use blank frame to make your own title with liquid chalk markers for best results. 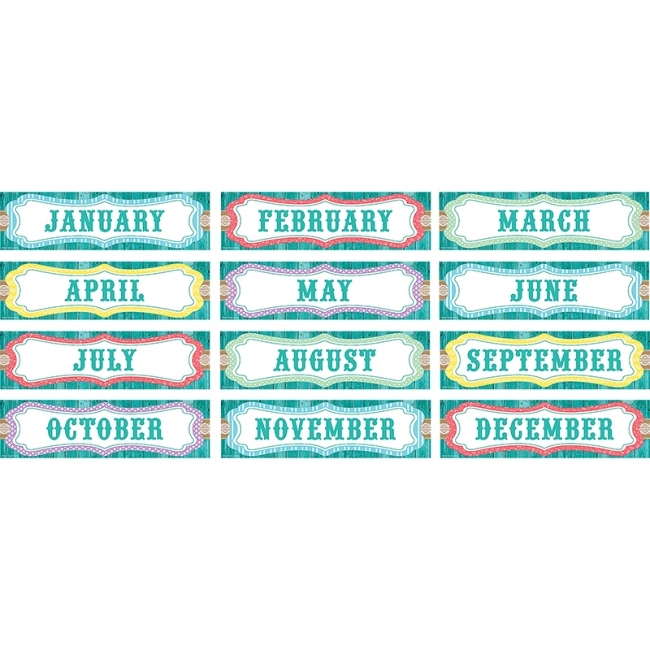 Each pack includes 8 die-cut pieces that easily punch out from an 8.5" x 11" sheet. 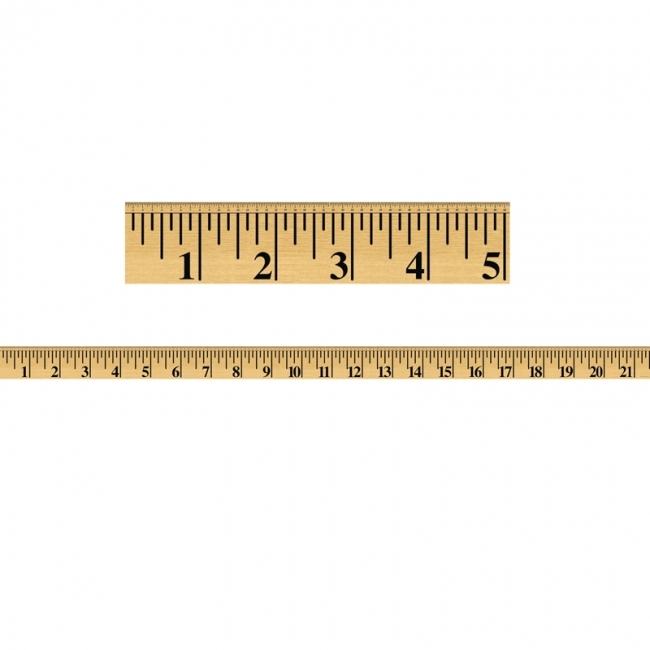 Each piece measures approximately 5.625" x 1.875". 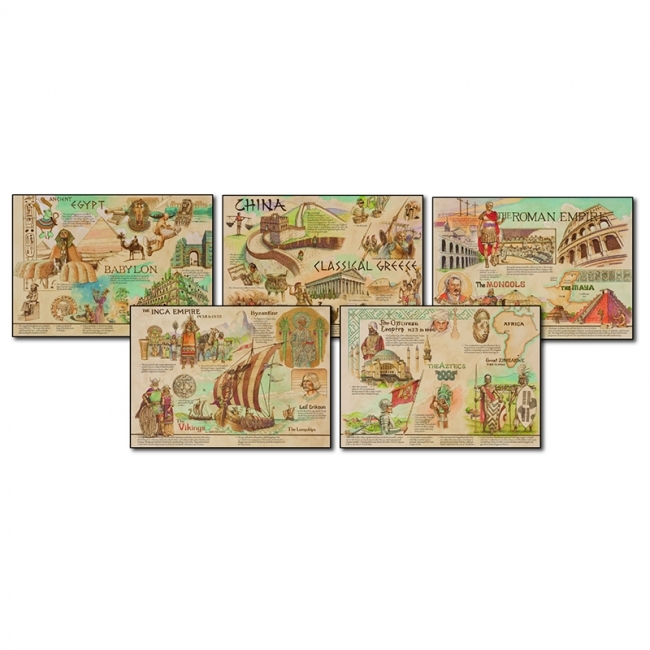 Five 24" x 17" panels assemble to create a 10' display featuring some of the most well-known ancient civilizations and cultures. Resource guide included. 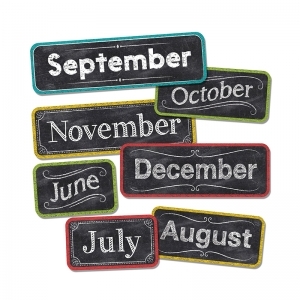 Add style and simplicity to any monthly calendar with the Chalk it UP! Months of the Year. Includes: 12 months 8 accent apples. A fun and colorful way to display student work. 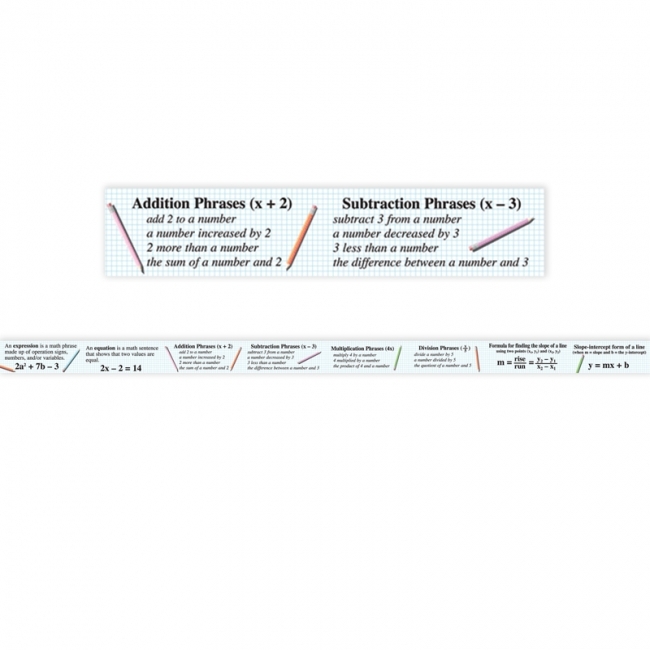 Use the pieces to enhance bulletin board displays, whiteboards, and doors. Includes 13 social media phrases and 2 social media symbols. Pieces range in size from 3 x 3 inches to 21 x 5.75 inches. 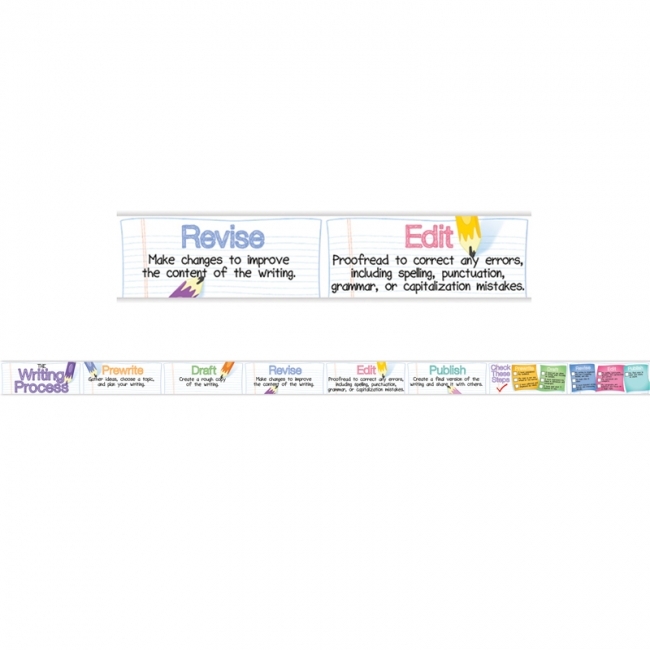 This bright strip displays the steps of the writing process, along with helpful checklists students can use as they complete the process. Assembled Topper is 8 1/2 inches high and over 14 feet long. 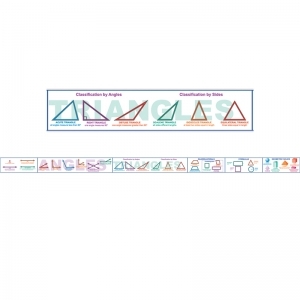 This large strip presents clear images and descriptions of key geometry concepts, including types of angles and triangles, quadrilaterals, formulas, geometric solids, and more. Assembled Topper is 8 1/2 inches high and over 14 feet long. 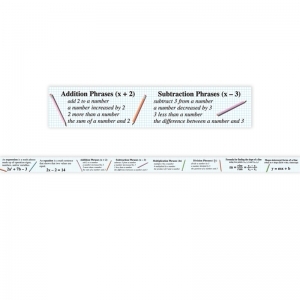 This large strip contains clear, colorful explanations of important algebra concepts, from expressions to the slope-intercept form of a line. Measures 8.5" high and over 14' long. 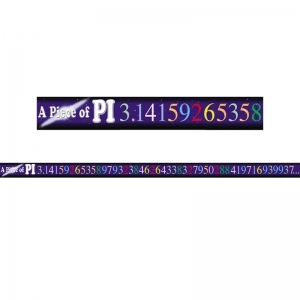 Wow your students with this colorful display of many digits of pi! 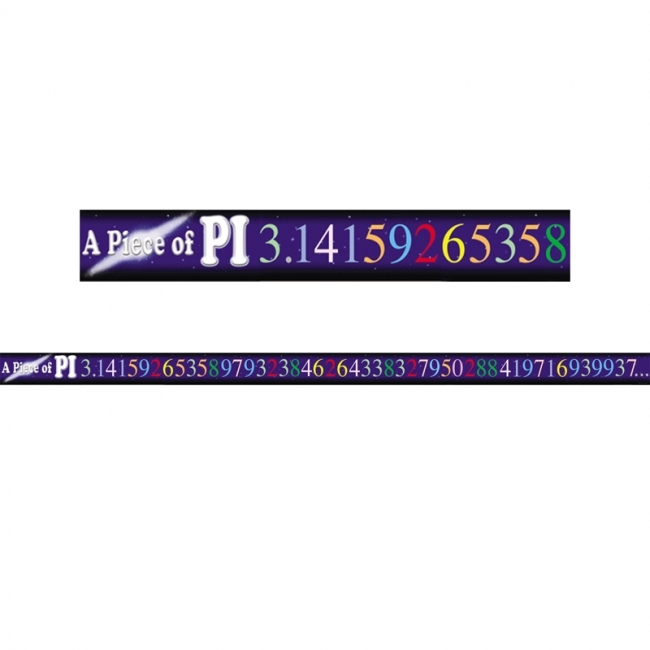 A Piece of Pi Chalkboard Topper measures 8.5" high and over 14' long. 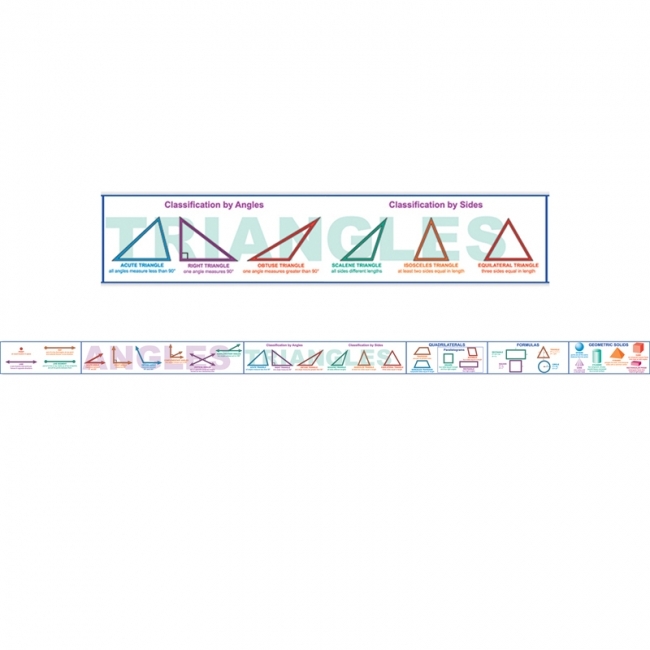 The Giant Ruler Chalkboard Topper makes it easy to teach about inches and fractions of an inch. 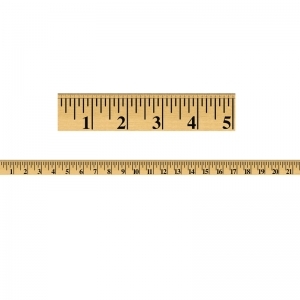 The small ruler at the top shows inches to size. Measures 8.5" high and over 14' long. Here's a terrific tool to help your students focus on and improve their word choice when they write. 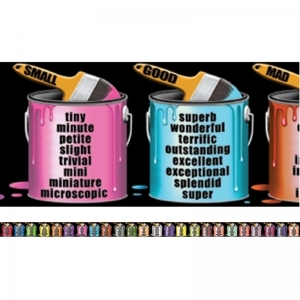 These bright paint cans list interesting alternatives for 24 boring and overused adjectives and verbs. The colorful display is 8 1/2 inches high and over 14 feet long. 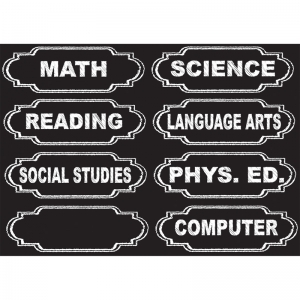 Headliners add instant appeal to any classroom! 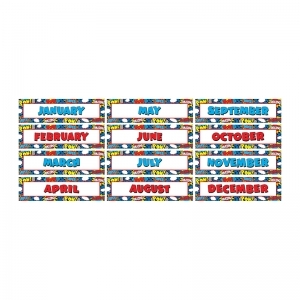 Use them as titles for bulletin board displays. Line them up along a wall or above a chalkboard. 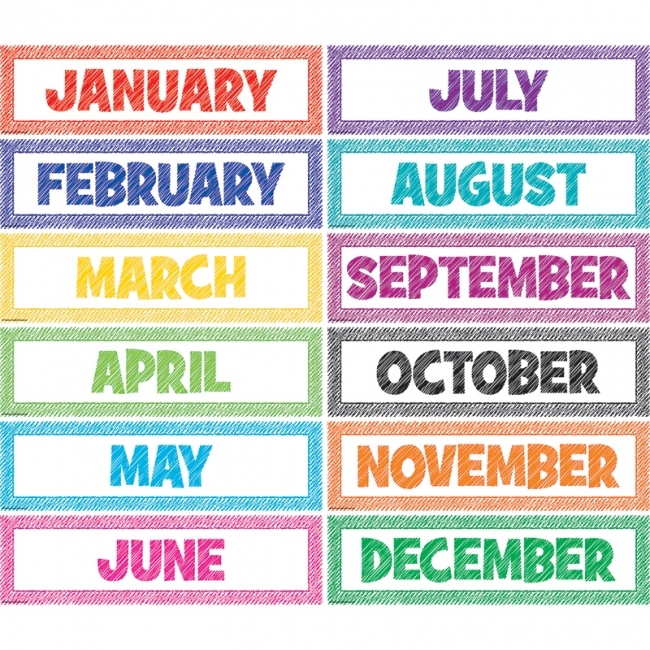 Create classroom calendars. 12 headliners per pack. Each headliner measures 5" x 18". 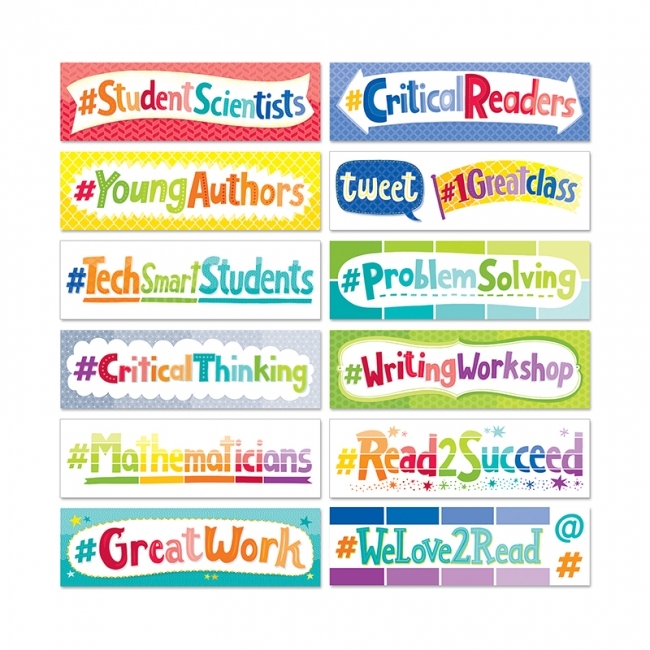 Headliners add instant appeal to any classroom! 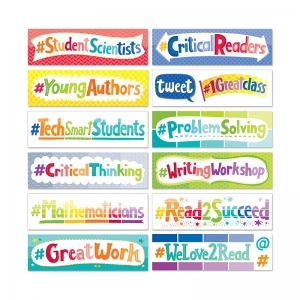 Use them as titles for bulletin board displays. Line them up along a wall or above a chalkboard. 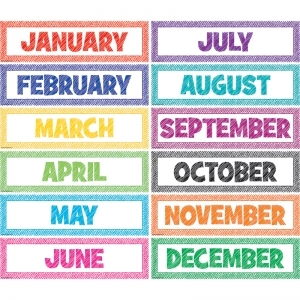 Create classroom calendars.